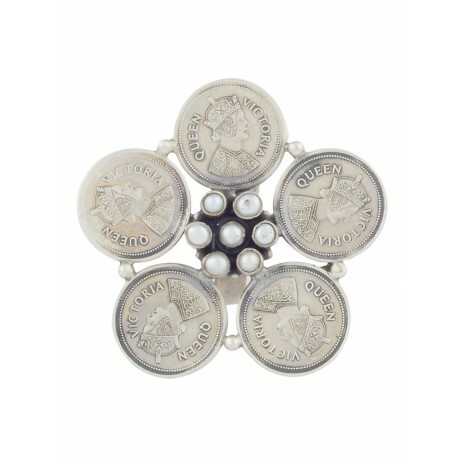 This is a truly exceptional ring consisting of five antique guinea coins around a centre of mother of pearl cabochons. Extremely simple and elegant.All our rings come with an adjustable shank and can fit any finger size. 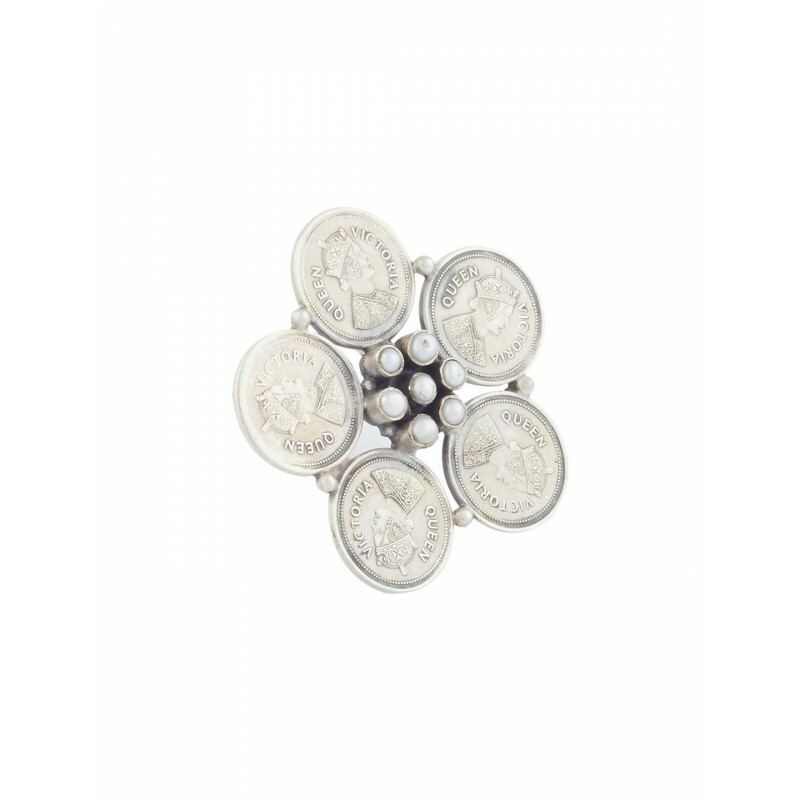 This ring is made in pure 92.5 Sterling Silver which is the highest proportion of silver that can be used to make jewellery. **Disclaimer: This product has been made by hand and may have slight irregularities that are a natural outcome of the human involvement in the process.